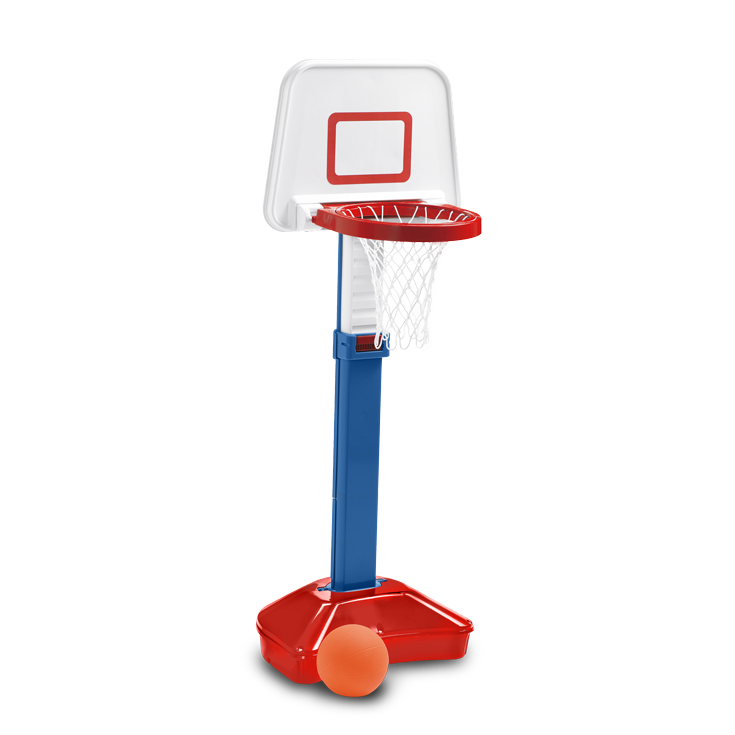 JUMP'N'SLAM BASKETBALL SET | American Plastic Toys Inc. This basketball set is a slam dunk! It features a break-away rim, an inflatable basketball, and a six-position stand, which allows for a hoop height adjustment. Packaged in a colorful, corrugated carton with a full color litho label.